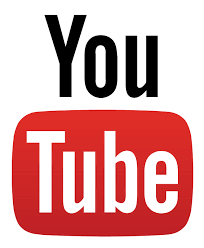 Our YouTube channel consists of ‘Hunting’ videos, ‘Gear Reviews’, ‘How To’ videos, ‘Bloopers’, ‘Kill Shot Compilations’, and more. Check it out, we appreciate your support and hope you enjoy the content. We would really appreciate a REVIEW! True to the podcast title we have four stories lined up for you. Three of them are pretty much a disaster with arrows falling off bows, bows exploding, and elk being missed. The fourth, takes place in Colorado and you will have to tune in for the conclusion. I'm sure you will get some laughs, learn a few lessons, and enjoy this show! Thanks for tuning in! Do you want to hunt other states? An important step in doing that is research and planning. The ‘Hunt Planner Guide’ can help turn that thought into reality. Do you want more success on your next hunt? Maybe kill your biggest animal to date? A HUGE part of consistent success is keeping track of everything that happens when on a hunt. Keep track of all the details EFFORTLESSLY and EFFICIENTLY with the ‘Daily Hunt Log’. In this episode Jordan Budd joins the show. We cover her 2018 Wyoming elk hunt. This hunt had a lot of ups and downs with big obstacles to overcome. Excuse the poor audio, it was done via phone recorder and we all know that Wyoming and Nebraska have great phone reception...not. Other than that, excellent show and I hope you enjoy it! In this episode Courtney, Steven and hunting partner Joe Williams recount their Idaho trip. Joe adds a great angle to the story and its an excellent podcast. I hope you enjoy the show. Follow along as they break down how they chose their food all the way down to what type of animals they thought they were looking at!! In this Episode Yashti and I go over his 2018 elk season. We also cover spot and stalk whitetail strategies and hunting mule deer. I hope you enjoy the show. In this Episode we jump into some great elk hunting stories. Sam Soholt shares a great adventure from Montana and Flint Wilhelm shares the adventure of his first elk with a bow. I hope you enjoy the show. Nothing thats worth it ever comes easy. In this Episode Kenton Clarimont and I share some of our most grueling hunting stories. I hope you enjoy the show.